Auckland is seeping with breathtaking views at every turn, so what better way to see them than on a bike? 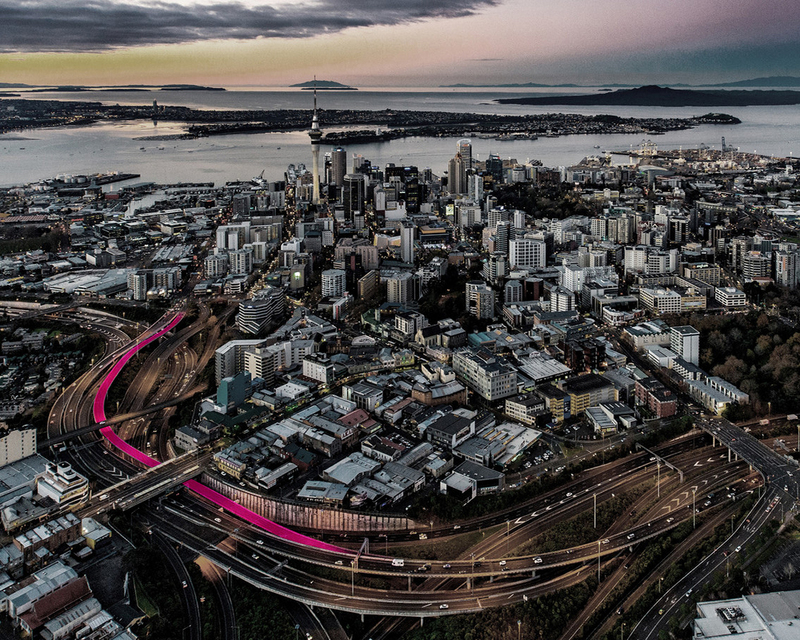 No matter your level of fitness or expertise, Auckland has many great options for you. So, pump your tires and experience adventures filled with great scenery, food and exercise. For a quiet ride, head to Avondale, for a journey through Eastdale to Riversdale Reserves and saunter through the quiet residential roads east of Rosebank. When taking a ride along dominion road, you can expect to be lured in every direction by the smells of food floating from the many eateries in the area. You can also ride along the Manukau harbor and dive in to refresh yourself after all that exercise. Island. There you will be met with wineries, galleries and beaches, which mingle to provide beautiful scenery, an all-together relaxing escape from city life, while letting you work up a sweat. Woodhill Forest is definitely a bike path for thrill seekers and adventure enthusiasts. This mountain biking track through the forest can be taken on a nice sunny day, but to get more of a thrill, go when it is a little rainy outside. For a slow and easy ride you can take the Northwestern cycleway, which is 9 Km in length. You can stop in Kingsland at one of the many cafes, such as Atomic Coffee Roasters or Monday’s. It would be beneficial to go on a Sunday, that way; you can make a stop at Avondale market. If you are into off-roading, this cycle path along the waterfront to Mission Bay is for you. If you go when it’s sunny outside, you can expect to see a lot of activity, which will keep you captivated for hours on end. If you find yourself out till the late hours of the day, you can catch views of the sunset out in Rangitoto. Mt Roskill provides a ride for less experienced bikers, or those looking for an easy leisurely ride. Grab your wheels and venture through underwood, Walmsley and Memorial Parks for a relaxing ride. 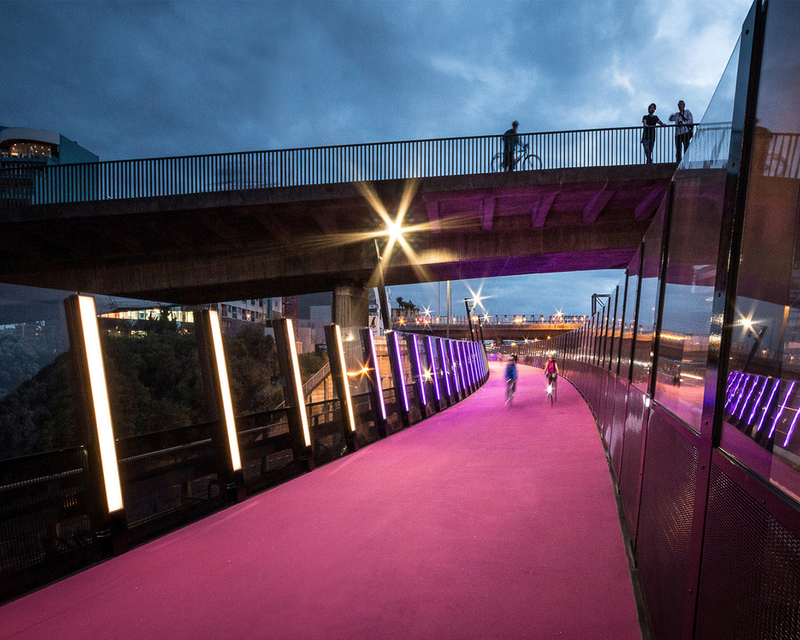 Hop on your bike at Upper Queen and venture downtown, along a bright fluorescent path. There are also many opportunities to stop for food to fuel up after your ride.